Use fingertips to apply CC cream to your face as if it were a moisturiser. Wait a minute to absorb, then apply your foundation formula. Formulated with a SPF 15 to protect from damaging UVA and UVB rays that can contribute to the visible signs of premature skin aging. Instantly amplifies skin luminosity and brightens the complexion. Radiance is enhanced as the formula helps correct the look of skin discolourations and gives skin a more unified tone. Provides visible relief and minimises the appearance of skin redness. It’s formulated with vitamin E and a botanical extract to help calm and soothe skin. 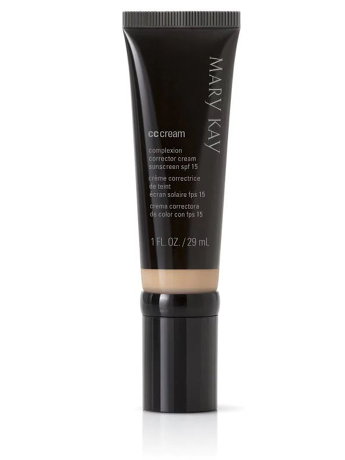 Mary Kay® CC Cream Sunscreen SPF 15 was even tested on women with rosacea who agreed that it helps diminish the look of redness. Fine lines appear less noticeable so skin looks younger. CC Cream also helps minimise the appearance of pores while visibly improving skin’s texture. It doesn’t settle into fine lines and pores, so you’re left with a smooth-feeling, flawless-looking complexion.